Valerie began her career in 1995 at a privately owned financial planning firm in central Pennsylvania. This is where she learned that her passion lies with helping clients pursue their financial goals and objectives in order to move toward the future they envision for themselves and their families. 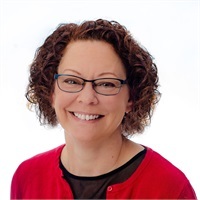 Since that time, she has worked in several roles in the industry including financial planning, sales support, and branch and regional supervision. She began working with clients again in 1999. Her team believes that a personalized, realistic approach to asset and risk management coupled with embracing their objectives is what it takes to help clients empower their financial futures. She is a 2010 graduate from Benedictine University in Lisle, Illinois with a Bachelor's Degree in Management. Our team focuses planning around and for life's many changes. They work with people in transition whether it is marriage, loss of a spouse, divorce, sending children off to college, pre-retirement or retirement planning. It is our commitment to provide clients with exceptional service and comprehensive financial advice wherever they are in their financial lives. Please click [email protected] to contact Valerie directly.